Baltimore County Police are asking for the public’s assistance in locating Jerome Irvin Luedtke, Jr. (33), wanted on charges of Aggravated Cruelty to an Animal for beating a small dog to death with a glass bottle. 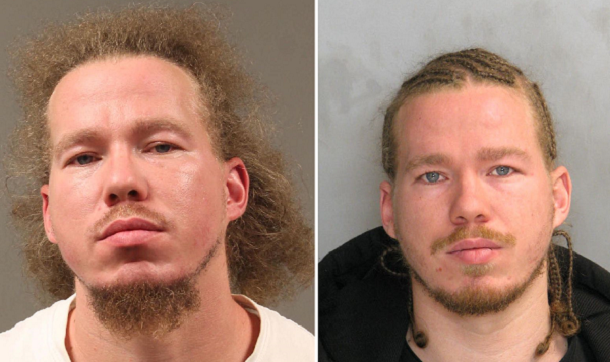 A warrant was issued for Jerome Luedtke on January 29, but police have been unable to locate him and are now asking for the public’s assistance. He is known to frequent the Essex Precinct area, having recently stayed in homes on Goodwood Avenue and Maryland Avenue. Anyone with information on Luedtke’s whereabouts is asked to contact police at 410-307-2020 or contact detectives in the Precinct 11 – Essex Investigative Services Unit at 410-887-0230 or Metro Crime Stoppers at 1-866-7LOCKUP or web tip: www.metrocrimestoppers.org.